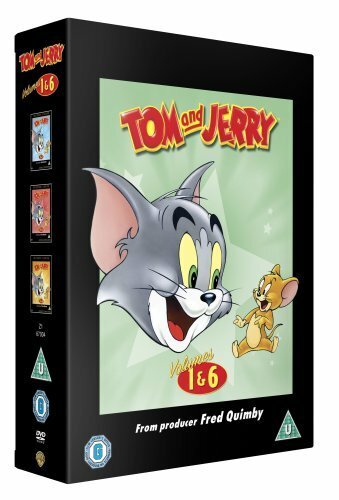 Firstly, the video clip above features a full episode entitled Mouse Trouble which is produced by Fred Quimby. This cartoon was a firm favourite in our household back in the 70s and never failed to leave our cheekbones aching from all the laughter. This cartoon was a firm favourite in our household back in the 70s and never failed to leave our cheekbones aching from all the laughter. 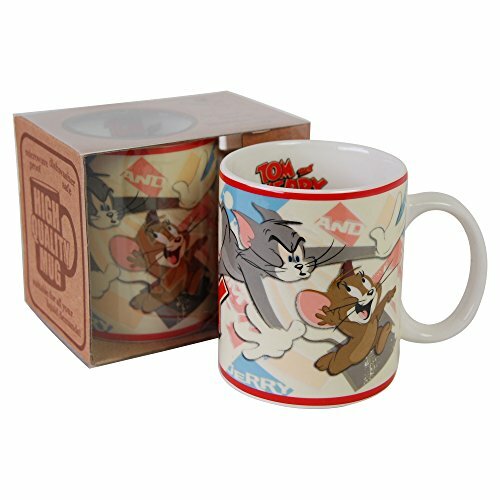 Tom and Jerry was created by Hanna Barbera for MGM (the originals were created between 1940 and 1957) and won seven academy awards. Each cartoon involved lots of slapstick fun, with music and sound effects galore adding to the disorder. 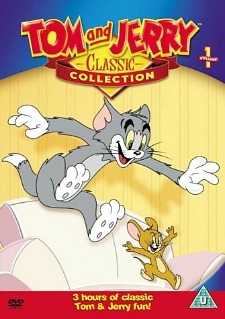 My favourite cartoon episodes featured the infamous cat and mouse chase scenes, which usually involved Tom (the cat) trying to capture Jerry (although he rarely succeeded!) with a great deal of chaos being caused in the process. Jerry's retaliation methods were actually pretty brutal, with Tom often ending up with an iron in his face or his tail being plugged into an electric socket etc. In some episodes the character Mammy Two Shoes would appear, only to find a trail of destruction through her house. She was a large-sized black woman who's face was never shown, although it was shown briefly in the episode Saturday Evening Puss before it was later edited out. Some versions of this episode show a white, teenage girl and others still show Mammy Two Shoes but with a re-dubbed voice. Indeed, many episodes were altered for later TV showings, with Mammy Two Shoes being either edited out or turned into a white girl to avoid being perceived as racist. Another character (and a particular favourite of mine) that featured in some episodes was Spike the dog (sometimes called Butch) and his son, Tyke. Spike was a vicious, but dumb bulldog who was very protective of Tyke. Tom would always end up getting into trouble with Spike - usually accidentally. For instance, Tom would sometimes disturb him in his sleep or destroy his dog house, and very often it was actually Jerry who was the culprit, with Tom receiving all the flak! 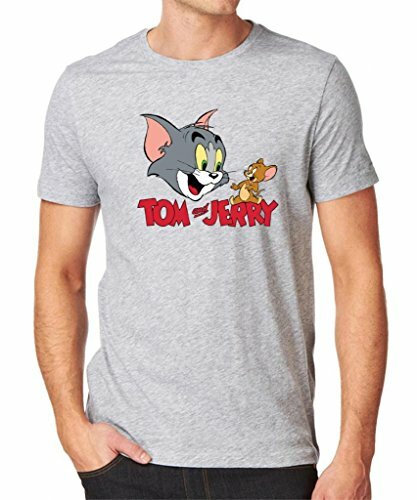 Another 13 Tom And Jerry cartoons were created during 1961 by Rembrant Films, who were directed by the illustrator and animator Gene Deitch. Another series of 34 cartoons were produced between 1963 and 1967 by the animation studio Sib Tower 12 Productions. This was run by the director and producer Chuck Jones and producer Les Goldman. The title card above is from one of their productions. 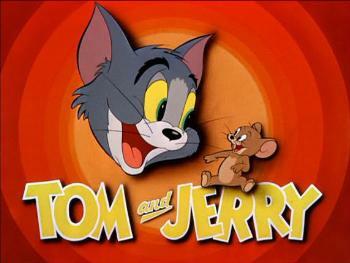 Hanna-Barbera and Filmation Studios created more Tom and Jerry cartoons (for TV) during the 70s and Tom And Jerry: The Movie in 1992. The last ever Tom and Jerry cartoon short was made in 2005 entitled The Karate Guard. 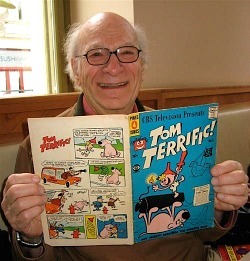 This was also the last cartoon to be written and co-directed by Hoseph Barbera who died in December 2006. Tom and Jerry with some puppies. You just know there's trouble ahead!